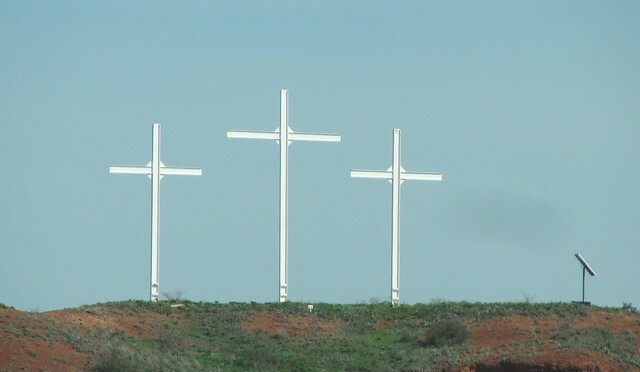 Far Western Oklahoma Crosses, illuminated at night by battery powered lights charged with a solar panel. 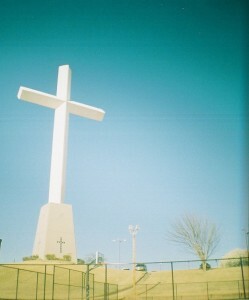 The removable cross at the church we were attending last year. 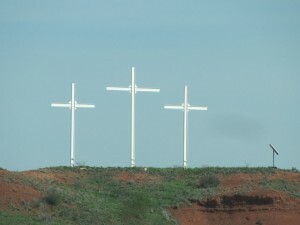 This entry was posted in Crosses, Easter on April 20, 2014 by Alan Bates. Paste Fericit! Happy Easter to you and the whole family with lots of joy, good health and positivity! Wonderful&sensitive post and special aspects presented! Wonderful images to honour the day! 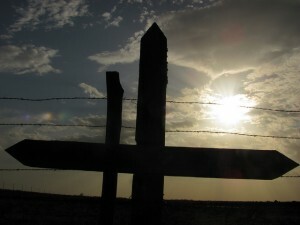 This is a great post with some wonderful images. I have always liked seeing a cross of lilies. That last image is extremely nice. Well done Yogi. 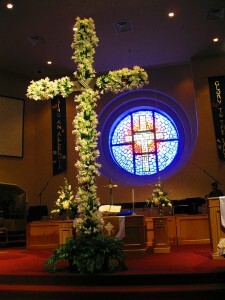 I love crosses and the more simple they are, the better I like them although I really like that one covered in flowers. Beautiful!